If you want a furniture company in Johns Creek, Georgia, area that will provide you with the pieces you need for your commercial or residential office, NorthPoint Office Furniture is where you’ll want to go. Since first opening our doors in 1994, we’ve helped customers with a variety of office furniture needs. For instance, not only do we offer functional and aesthetically-pleasing pieces at budget-friendly prices, but we also offer personalized services through which our consultants can help customers decide on the best pieces for their office. We do this by taking into consideration your office space, number of employees, budget, and needs. Desks – We have a wide selection of desks, including executive, reception, workstations, Bowfront, pedestal, L-shaped, U-shaped, student desks, corner desks, and bullet table desks. 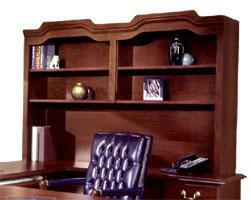 File cabinets – We offer 2, 3, 4, and 5-drawer cabinets that are available in wood and metal. Additionally, we offer FireKing files for customers who want to ensure their documents are protected from fire damage. Storage items – This includes credenzas, hutches, bookcases, filing cabinets and more. Conference room furniture – Regardless of whether you’d looking for ornate and impressive pieces for your conference room, or more simple furniture for employee areas and meeting rooms, you can turn to NorthPoint. We carry tables, chairs, white boards, conference room chairs, and more. Cubicles – Workstations, new and used cubicles, benching units. Want to learn more about the benefits of making NorthPoint Office Furniture your preferred furniture company near Johns Creek, GA? Contact us today!